Business Forex Trading Platforms: How do they Differ? Forex Trading Platforms: How do they Differ? Day traders in the past used to all huddle around a central screen and dial in numbers to brokers frantically trying to get their trades before the ebb and flow of the market changes once more. In the modern era, everyone from retail traders to institutional traders are using online automated platforms for trading securities and stocks. This has revolutionised trading as for the first time in ages, retail traders have a wealth of information at the tip of their hands. 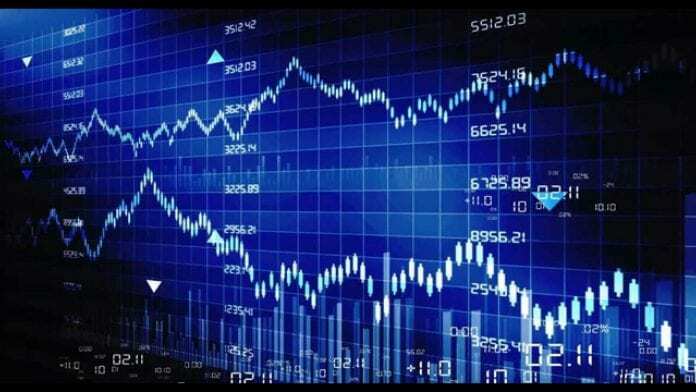 And what’s more, some of the more advanced trading platforms out there are now powered by machine learning and artificial intelligence which means that they can analyse huge chunks of historical and correlated data and come out with predictions that are eerily similar to present market trends. How to Choose the Perfect Trading Platform? But not everyone who comes into retail trading has prior knowledge of the market and sometimes the overflow of options can seem daunting and even scare some of the newer players away. This is why online trading platforms which offer simple intuitive controls are in high demand among these newcomers. On the other side of the pond we have seasoned veterans who do not jump into a trade before conducting rigorous research about the company as well as the niche. These people prefer to have all the historical data available to them and the very best trading platforms make it easy for their users by consolidating all of these data into easily interpretable graphs. Not only that, they also include panels that provide trading signals through social trading functions and also include various other important metrics such as market volatility and moving averages over a certain time period. Now most automated online trading platforms out there are geared towards either simplicity and ease of use or towards sophisticated data mining with a slightly complex user interface. The problem that most retail traders face is that once they become accustomed to the easy to use interface, they are reluctant to make the jump across to a more feature and information rich platform because of the steep learning curve involved. MT4- Is it Worth it? advisors and trading bots handle the bulk of the work while it lets the experienced retail traders have granular control over their trades and set up trade limits and individual algos using MQL4. But then going on popular opinion has led to the downfall of many a retail trader so instead of basing our judgment on opinion, we will try to set up a few guidelines for what makes a good online trading platform and see if MT4 fits the bill. Easily Controllable User Interface: This one is pretty self explanatory so I wouldn’t go into this one in great detail, the easier the interface is to use and the more lucid the controls, the better they are for newcomers to get acquainted with forex trading. Just one point here is worth mentioning that the ease of use of the interface should extend to the initial installation of the programme as well. Always Accessible: One of the benefits of having an online trading platform is the ability to access it from anywhere in the world. While most trading platforms do provide this facility, many of them are not cross platform which means that if for some reason your laptop ran out of juice, you wouldn’t be able to quickly switch over to the tablet or app and continue making your trades. Social Trading and Copy Trading: While venturing into a new niche, one of the best ways to learn the ropes is to ride the coattails of an investor who has made a killing in the field. This is what copy trading is all about. Social trading though takes it one step above by integrating financial news alerts into a social platform where investors can bounce ideas off each other. Data Driven Algorithmic Trading: The platform must have a bevy of trading signal providers that can alert the retail trader of upcoming twists and turns in the market. The trader can then use historical data and speculative analysis to create a trading model that is most likely to come out on top in any given scenario. With the help of Expert Advisors, trading bots and near instantaneous trading capabilities, MT4 checks all of these boxes making it one of the better choices out there for retail traders looking to venture into the automated online trading scene. However, software is always a matter of choice and not one size fits all, so if any other trading platform covers all of these vital points, then they’re worth checking out as well!